Alaska Celtic Pipes & Drums are fully committed to teaching piping and drumming to those in our community who would like to join our Band, and we sincerely believe that you’re never too old or too young to learn to play. Gary Craig, our principal instructor for our beginning Piping students, has been playing and teaching for many years, and holds certification from the College of Piping in Glasgow, and is the founding Pipe Major Emeritus for our Band. Alaska Celtic Pipes & Drums provides all instructional materials for beginning Piping Students. Please contact the Band one week prior to your first lesson, and we will have a book ready for you. 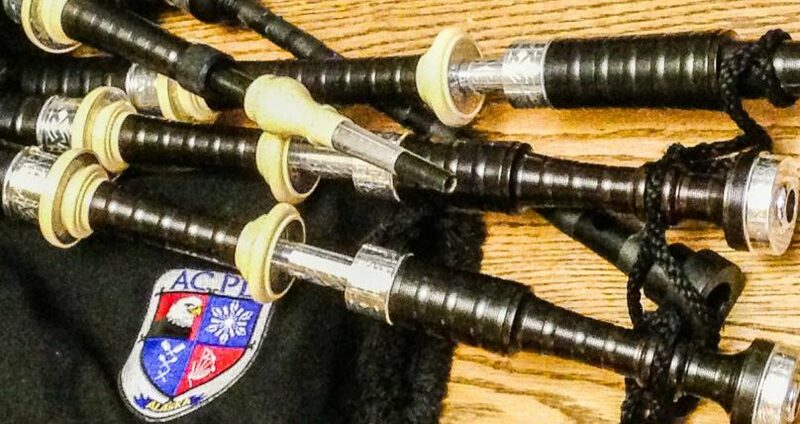 Piping Students will need to purchase a Practice Chanter, prior to first lesson (see below links,) and bring a desire and commitment to learn! Erik Chronister, our Drum Sergeant and lead drumming instructor, and Christine Christiansen, our Drum Corporal, both have long years’ experience in drumming and teaching with various bands here in Alaska, and outside. Drumming instruction includes the Scottish Side (Snare) Drum, Tenor Drum, and Bass Drum. Alaska Celtic Pipes & Drums provides all instructional materials for beginning Drumming Students. You just need to bring a desire and commitment to learn! Please contact the Band if you are interested in beginning drumming lessons.